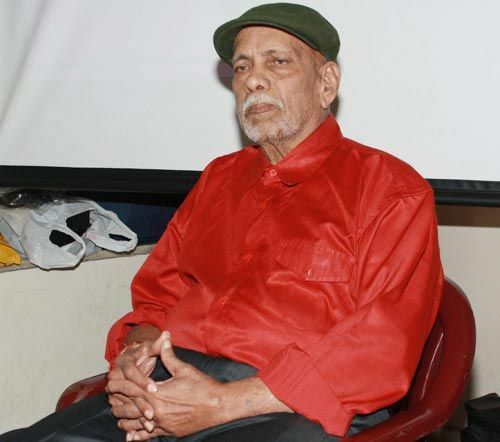 He can barely talk and walk due to health issues but Ramakant Achrekar wants to be in the spectators gallery when his celebrated ward, Sachin Tendulkar, would take guard for one last time, next month. Tendulkar has announced that he will bid adieu to the game after playing his 200th Test match, which will be against West Indies next month. 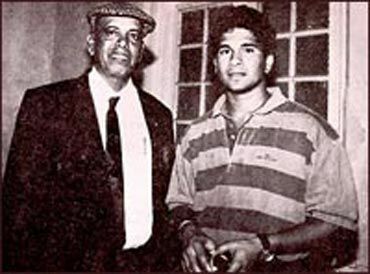 Achrekar, who nurtured Tendulkar's game in his childhood days, has expressed interest in going to stadium if Tendulkar's swan song game is held in Mumbai. "It will be very difficult for him to go to the stadium but he will go if Sachin's last match is hosted at Wankhede stadium. It will be an emotional moment for him and he wants to witness it on the ground. 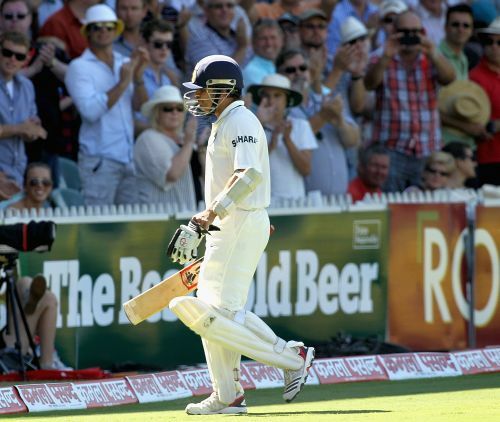 He always says that there will be no other Sachin," Achrekar's daughter Kalpana Murkar said. When asked about his reaction over Tendulkar's retirement announcement, she said that Acherkar is sad. "We knew that it will happen in near future but he is sad. He wanted him to play more but said it is his decision and everyone should respect it," she said. Kalpana said that Achrekar's interest in watching cricket on TV will reduce after Tendulkar's retirement. "He does not speak much but it is evident with his body language that how involved he is when Sachin is playing. I guess he will not watch cricket that religiously once Sachin retires from the game," she said. She also told that Sachin met him twice last month and called him on Thursday as well. "The best thing about Sachin is that he has not changed a bit. He still comes to take his blessings before and after every tournament. He came to meet him twice last month on Ganpati festival and Guru Poornima. He called him yesterday and said that he will come to meet him soon," Kalpana said. When asked about what did the they talk in last two meeting, she said it was cricket. "He was here for almost two hours and talked about many things, mainly cricket. We asked him about his son Arjun who also plays cricket but we did not talk about the issue of retirement," she said. RIP Mumbai's playgrounds, who needs you anyway?